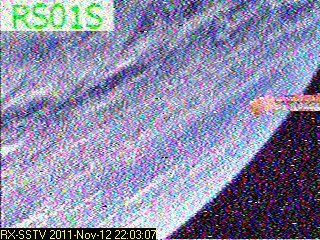 These SSTV images are a sample of those received by K3AS on 145.950 FM using a Yaesu-FT-847 w/. Mirage pre-amp, and Comet GP-6 2m/440 Vertical antenna elevated 50 ft. (approx 15m). 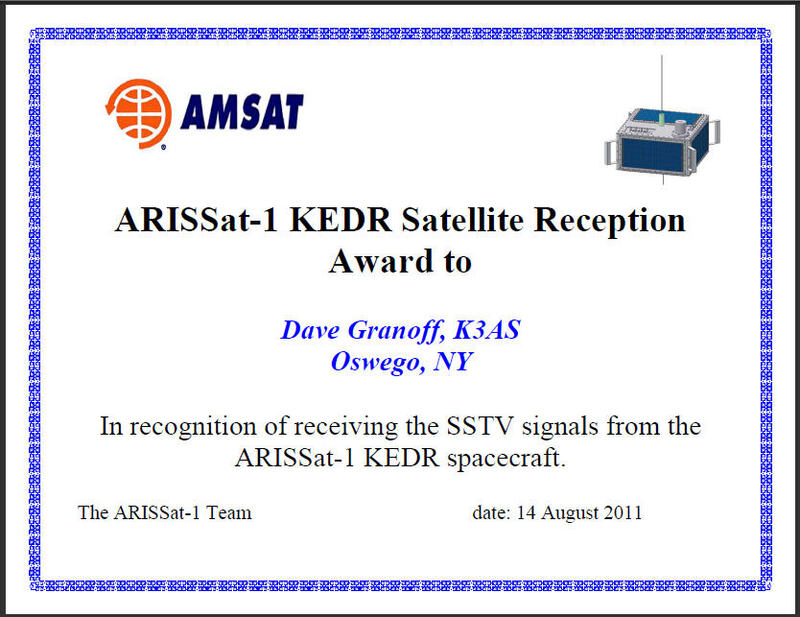 Arissat-1/KEDR Amateur Radio Satellite was deployed from the ISS on August 3, 2011 and began transmitting SSTV and FM voice messages on 145.950 FM. 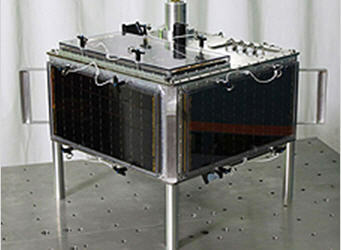 The Satellite also operated (1) a 435-145 MHz Linear Transponder, (2) a 145.919 MHz CW beacon, and (3) 145.920 MHz SSB BPSK-1000 telemetry. 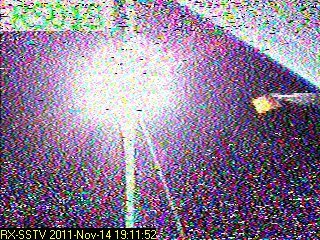 SSTV and FM voice are Rx ONLY. 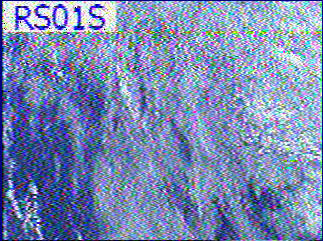 FM SSTV and voice transmissions can be received, for the most part, using average equiment. Rotatable alt/az tracking antennas and tuning to accomodate doppler shift are beneficial but not essential. 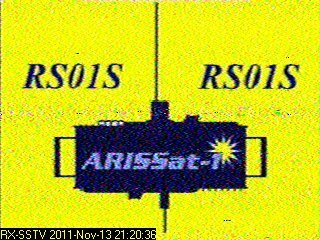 A basic SSTV software configuration (similar to HF) is required. See the SSTV page for details. 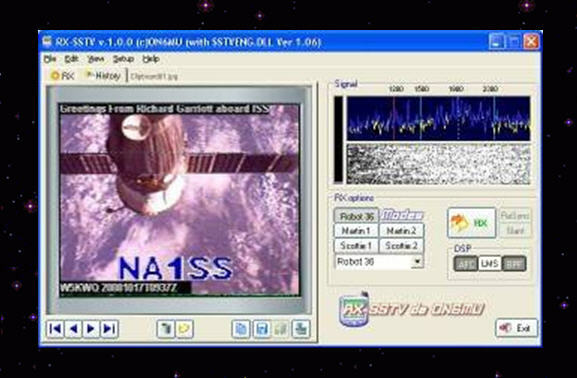 Rx-SSTV is a receive-only freeware program from Guy, ON6MU, that is specially designed for this purpose and is based on the MMSSTV software engine. 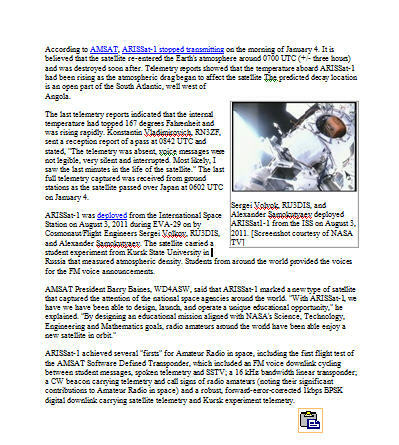 'According to AMSAT, ARISSat-1 stopped transmitting on the morning of January 4, 2012. It is believed that the satellite re-entered the Earth's atmosphere [over Japan] around 0700 UTC and was destroyed soon after.